I started writing in 2008. In 2010, my short stories started to appear online and in print and I was also short-listed for the Fish Prize. 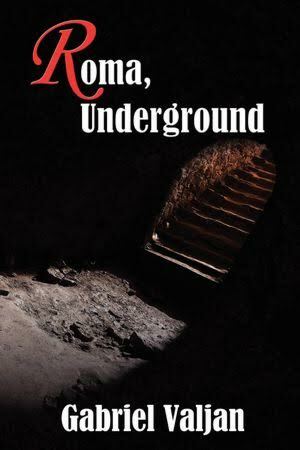 I wrote Roma, Underground in late 2010, submitted it to a call for manuscripts from Winter Goose Publishing in early 2011 and the rest is history. Roma, Underground appeared in 2012. I know that people read for different reasons, but ultimately it is for pleasure, for some connection with either the character or with the plot. The Roma Series began as a challenge from a coworker, who asked me to write a short story about an intelligent, but flawed woman. I choose to write in the mystery and suspense genre because it is a challenge to keep the reader engaged, turning the pages. Everything has to count, has to contribute to the pacing or the character’s development; it is a genre in which readers see another mind (or minds, in the case of my series) at work in order to solve the mystery. Where do you find inspiration for your story lines? For the characters you create? First, I think the majority of writers are keen observers of events and people around them. The discernment, the rub, is what they choose to nuance and accentuate for emphasis. Is it interactions between individuals, between them and the world around them? I focus on relationships, but never forget that there is a greater vortex around them. I believe that no matter how much we cocoon ourselves in bubbles of hyperlinked awareness, all this connectedness is really a symptom of disconnection. The world is Darwinian, impersonal and indifferent. Like many writers, I read something, hear about something and I ask myself, “What if x or y?” In my particular case, I’m partial to character-driven stories. I want someone to love, root for, and occasionally get annoyed with, BUT I want to see struggles within the greater cycle of history and society. We are all affected – affected when culture is robbed (Roma, Underground), when a cure for cancer can determine life or death, but profits dominate (Wasp’s Nest), affected when lives are caught between antagonistic political systems, between criminal entities, at odds with each other (Threading the Needle), and affected, when the least among us is not valued and discarded (Turning To Stone) because of national interests. Plot says something must happen, although not necessarily in a linear fashion. We’ve all read character studies where nothing happens. I try to balance Plot and Character. 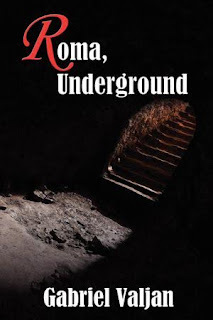 Roma, Underground drew inspiration from the 1980 scandal over silver from the archaeological site Morgantina in Sicily and from the real archaeological group, Roma Sotteranea. Wasp’s Nest has some basis in fact from the world of insect genetics and cancer research. 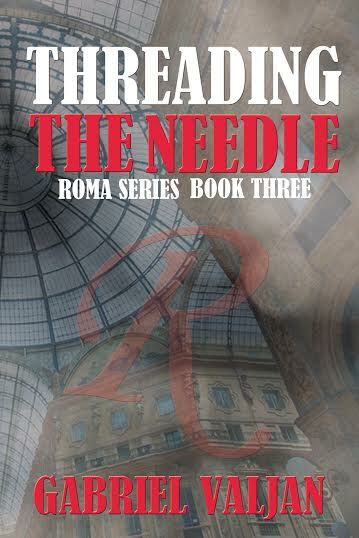 Threading the Needle revisits the dark history that Italians call the Gli anni di piombo (Years of Lead). 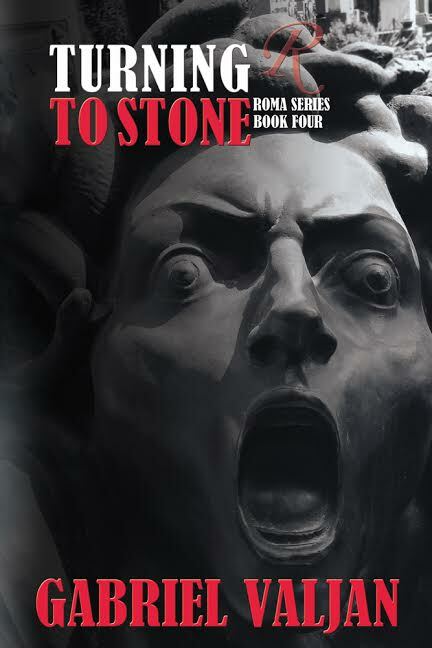 Turning To Stone explores the Fiscal Crises of 2007 and 2008, which still haunt Europe. I believe that we grow and learn when we look at Other, at a different value-system. The proverbial Italian flexibility on moral issues is almost blasphemous to the American mindset, for we believe in either black or white. I think that Italians are closer to a more realistic approach, which we may see as bordering on the cynical. We have a hard time with shades of gray (not the book, please). Ennio Flaiano, a brilliant wordsmith and astute observer of the Italian nation, penned a famous line that is truly untranslatable because of its wordplay: L’Italia è la patria del diritto, ma soprattutto del rovescio. Run it through Google Translate and have fun. I high recommend the films Il Divo – the movie from Paolo Sorrentino and not the musical group – and, for those who want some insight into organized crime other than The Sopranos, watch Suburra, out this year. Stefano Sollima directs what Giancarlo De Cataldo, a magistrate, and Carlo Boninin, a journalist, conveyed in their collaboration, a gritty and dark film noir on corruption. How do you approach writing - set time each day, when inspiration hits, etc.? Do you ever face writer's block and if yes, how do you get past it? My process is disciplined. I write daily, and I constantly ask myself, Will this make the reader turn the page? In the first go, I try to get the story down. With a series, the characters are in your head and they have distinctive voices and quirks such that I put them in situations and record how they react. So I guess that is stream-of-consciousness writing once the characters are established. I do, however, make the characters evolve from one book to the next. My characters are flawed, but they are not dysfunctional; they care about each other because they live and work together and are dependent on each other because it is a matter of life or death. No, I don’t get writer’s block. Look, I am not a genius who will say that I have a million things flying around in my head. That flurry might seem ‘artistic,’ but it is really the mirrored reflection of an undisciplined mind or a lack of discernment. Artists tend to be obsessive and disciplined creatures and I am no different. I’ll chew on an idea until it finds expression. I chisel away at the chunk of stone and I don’t tolerate distractions. I’m very hard on myself because what matters to me is the Story. What I do experience, however, is Frustration because I can’t find the right words at times. Language is, by its very nature, slippery and elusive. Accept that fact and let it go because it will never ever be perfect. I’ll always find the flaw, that one thing in hundreds of pages, that I had wished that I had done better. In The Roma Series, you chose a strong, intelligent woman as the central character and surrounded her with a support base of loyal male colleagues. Can you talk about why you chose this direction? Bianca began as a challenge from a coworker when I was writing short stories. I still write short stories, by the way. I think the world is weary of drunken, retired private detectives, so why not a female protagonist? 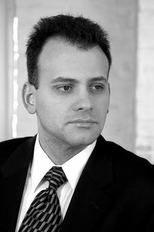 We might be fascinated with intelligent technology savants, if they have redeeming qualities. There is trend for unlikeable characters, but I wanted to create someone who was decent. Lisabeth Salander is rowdy and rude, but she has a strong moral core for justice. Bianca is distant and difficult, enigmatic, but she demonstrates the contradictions we all possess: heroic but afraid, outraged and uncertain how to proceed. At times, she has no filters and infuriates her friends, but she is often on the mark. Like all of us, she wants to be accepted, loved and respected on reasonable terms. You include a quite a bit of background colour in this series - intimately describing locations in Rome, Boston, Milan, Naples, detailing the preparation and heritage of sumptuous food, and even taking time to offer how someone looks/talks in detail? What kind of research was necessary to bring this aspect to your story line? (Smiles). First off, I’ve travelled to all of those locations and I live in Boston. Food figures large in my book, because taste and scent are sensual and food is a communal experience. You’ll notice that within the Roma Series my characters hash out their thoughts over meals. I mentioned that novelists observe life around them. Nothing saddens me more than to see families at a table, texting and doing whatever on hand-held devices while stuffing their faces. As you get older, you appreciate the fragility of life, and to think that these people who are sitting opposite of family and are ignoring each other, people they will lose one day, is tragic. Second, I’ve eaten all the dishes that I’ve described in my books. I live near Barbara Lynch’s restaurant. She and her staff keep me apprised of regional Italian cuisine. While I seldom discuss it, I have lost most of my sense of taste due to radiation for cancer. I wrote Roma, Underground while being treated for cancer. The writing was my way of combating depression and keeping my body and mind fixed on a purpose. To smell a delicious scent and not be able to taste it is a perverse form of torture few people will ever experience. The deprivation of a sense rewires your thinking. On a positive note, however, my cancer experience has, for physical reasons, forced me to eat more slowly, to savor each morsel. I detail food preparation because, whether people realize it or not, you may not be able to express your feelings, but making a meal for another person is an expression of love. Meals, laughter, and simple pleasures are what we’ll remember, and not the job, the boss, or the paycheck. The Roma Series is about crime, about deeper questions in this world we share, but it is also about friends, about love in a morally compromised world. Of the four books in the Roma Series - Roma Underground, Wasp’s Nest, Threading the Needle and Turning to Stone - three are set in Italy and only one in the U.S. Why did you choose to have your second book of this series in a different country? Each book was written as a stand-alone, but I’ve designed the Series in such a way that readers will see a range of emotional development and responses in each of the main characters. The main character, Bianca, will confront her issues with intimacy. Readers will have hints about what happened to her, but its magnitude is not exposed until Book 5. With each book, readers will learn more about – and love, or, understand – what makes each character tick. With this in mind, Wasp’s Nest, as you pointed out, is not set in Italy. On the face of it, Bianca travels to Boston, enticed by ‘the assignment,’ but I hope that readers intuit that she ran away from her relationship with Dante. He is good to her, too good at times. In modern Italy, the name Dante is old-fashioned, which suits him because he exhibits values seldom seen today. Intimacy frightens Bianca and there she was in Rome with a close-knit circle of friends who respect her, admire her, and call her out on her lack of consideration. I situated the second novel outside Italy for another reason: contrast. I don’t just mean American and European contrast, though there is that; but rather that readers see Bianca realizing her feelings for Dante and her sense of growing disconnect with American culture. She misses Italy. She misses her friends. If I am criticizing America, it is for its lack of work-life balance. But just as she thinks she has a handle on cultural differences, she runs smack into the North-South divide within Italy in the third novel, Threading the Needle. Milan is a distinctive city, even for Italians. In Book 5, Corporate Citizen, Bianca will return to Boston, but this time to help an old friend. It will be her last hurrah for Bianca in the United States and a ‘goodbye to all that’ for her, for reasons I won’t disclose. Will there be more books coming in the Roma Series? Winter Goose Publishing has Corporate Citizen scheduled for a May 2016 release. There are other books in the Roma Series, but I will also be introducing another series altogether in 2017, so I’m not certain about the release dates. I have a volume planned for London, which will put some salt into old wounds and find Bianca and Company hankering for home. 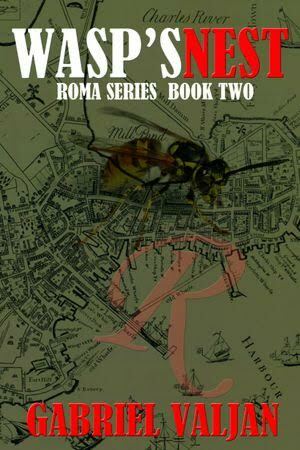 After Book 6, the Roma Series stays firmly in Italy. I want to write one adventure in ‘magical Turin’ and maybe frame a story set in Piedmont - home of slow food that would be a perfect setting to mix conspiracy, culture and good food, my way. Speaking of food, Emilia-Romagna is traditionally considered the Italian region with the best cuisine, but I disagree; to me it’s Sicily, followed by Puglia. Some of my characters have southern roots so readers deserve to enjoy the cuisine of their regions, too. It goes without saying that writing in the ‘Italian mystery–suspense genre,’ I have to do a story somewhere in southern Italy, given that I adore Andrea Camilleri’s Salvo Montalbano Series. Camilleri is ninety now and still going strong. Do you have any advice for new authors just entering this career? Each person, each human being has a unique relation to language, how they use it. We are all storytellers and we all have a story to tell. Write what you know. Write what you don't know. Obey the laws of grammar and syntax. Break the rules of grammar and syntax. Speech is what you hear. Dialogue is what you imagine between fictional characters. A beat is time in the corner for the boxer to rest or time for the boxer to deliver the punch. Characters live and breathe by how they act, however flawed or noble they are, and not because someone tells you they do. Point of view is a camera; change the lens and you change what you see and whence you see it. Visual is in the mind and it is also white space on the page. Edit for copy, for structure, but always have someone else do it because you won't see it. Criticism is always constructive, never personal. Voice is yours and only yours, as unique as your fingertips, your earlobes, and your handwriting. As you can see, there are rules and there are no rules. Writing is about creation and expression; it is a function of the intangible human spirit. The act of creative expression, be it oral or written, nearly always involves the person who is doing that creating through words to be sitting down. Spoken or written, the story is created from a seated position. Tell the story that you have inside you. You have no control over whether you’ll make money (or not), be famous or forever obscure. Read widely other authors and genres to see how they ‘work’ and why they did what did and why it works. Should you be fortunate enough to meet your readers, stay until you have met every last one of them. You’ll be the better person. Don’t compete with other writers. Somebody will always be better at something than you. Just be you. Respect the time your readers spend with you and be grateful that they chose to spend that precious time with you.